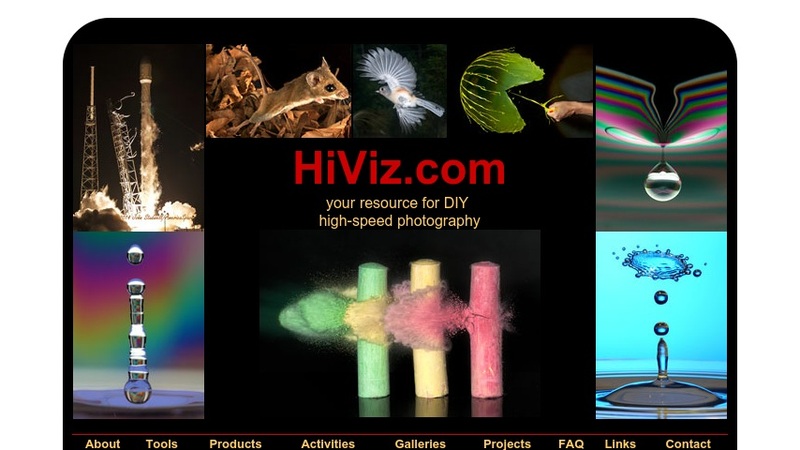 High-Speed Visual Imaging (HiViz) provides "information and inspiration especially for students, teachers and hobbyists." Their goal is to dispel common misconceptions about high-speed photography, in particular that it is only for experts and requires specialized and expensive equipment. They provide tools for setting up and using a high-speed imaging system, numerous activities for teachers and an FAQ section that addresses questions about cameras, flash units, and timing systems. The Galleries section, which include portfolios of exemplary student work, and the Projects section provide a glimpse into what is possible using in high-speed visual imaging. They have also sell kits for students, teachers and hobbyists interested in starting their own project and provide links to relate websites for more information on related resources.